Rae Haddow - Fairfield Media Co.
Rae Haddow was planning her coaching business launch as she finished her training with Erickson Coaching International. 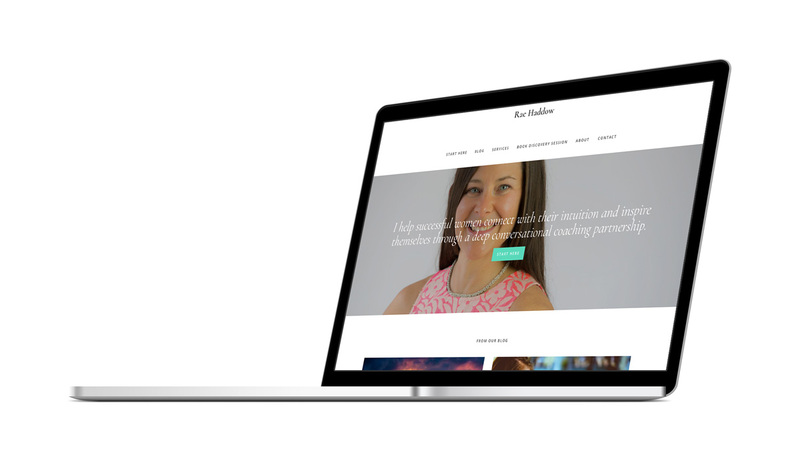 She knew that that she wanted a website to give herself a professional online home, but she didn’t have any content, brand or audience. Working together through the discovery process, we identified her business needs and target audience needs. With this information in hand, we started to work on a solution. As we began the Pre-Production phase of Rae’s website we worked on designing the user experience through a sitemap to lay out the information architecture of the business website based on the goals we identified in the discovery process. From there we worked on a Content First principle that has all of the content prepared for the site to make sure we don’t miss anything and to ensure there is a long lead time on being able to create high-quality content including a unique value proposition, call to action, blog posts, service descriptions, about page copy and a few other goodies. We then built out a working prototype of the website to refine the user experience. Afterwards, we dug into the user interface design and creating a professional feel from having a consistent look. Next we added all the content during our Production phase preparing for taking the site live in our Launch phase. Finally we launched the site providing training and post-launch support as the analytics data started to be collected for future analysis. Taking Rae through our business website building process and post-launch training gave her a clear understanding of what was expected from her at all times during the collaboration. You can read more about our process over here. "I would definitely recommend working with Scott and Fairfield Media. I found tremendous value in the structure and input that Scott provided throughout the process, as well as all the support in content creation, learning about the various aspects of marketing online, and of course the final product that makes my heart swell with excitement. Together we were able to create the vision I had in a clear and concise process that had lots of room for exploration, given my neophyte status in working with web design. The website is beyond what I had imagined and I feel very fortunate to have had the opportunity to partner with Scott in the evolution of my new business platform."